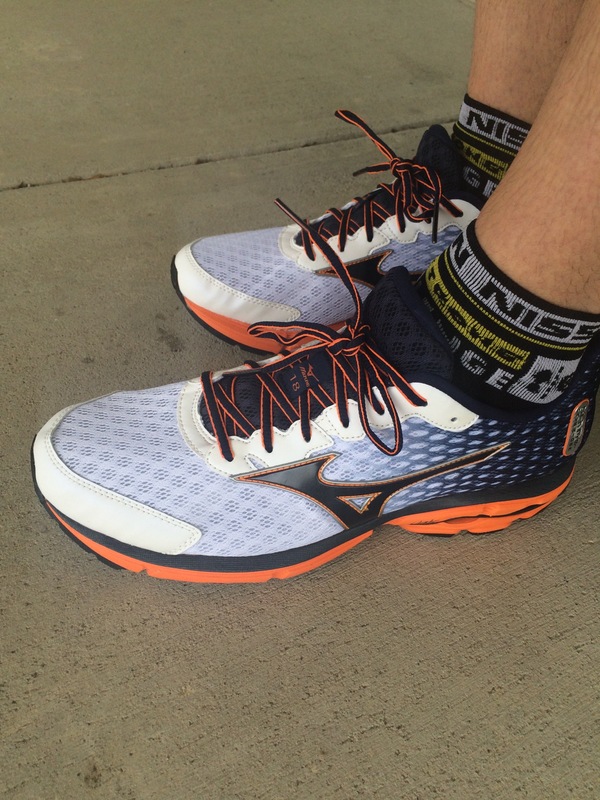 Disclaimer: Mizuno sent me a pair of Wave Rider 18 to test out. That said, the opinions here are my own. There’s nothing better than coming home to a new pair of shoes that the mail person left on your front step. 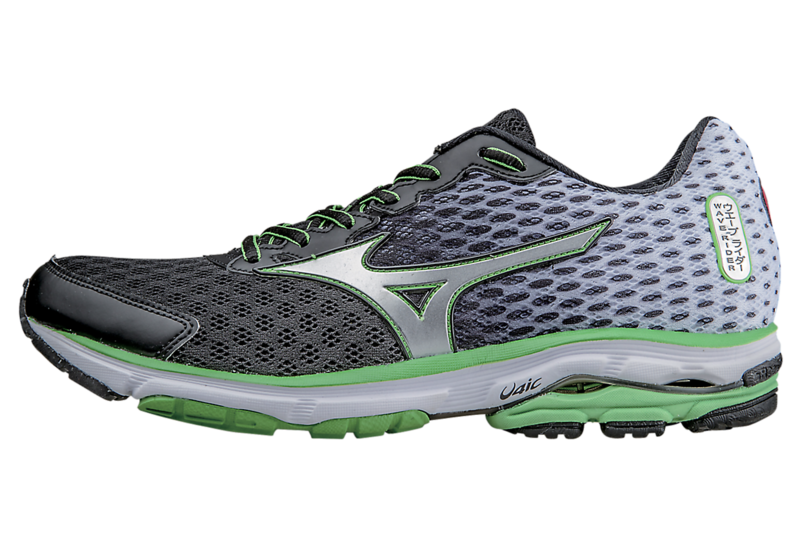 In this case, it was Mizuno’s new Wave Rider 18. Yippee! New shoes! It’s like Christmas in October – we’ll call it Octmas. First off, I must confess that even though I live in Texas, I’m bit of a hippie. 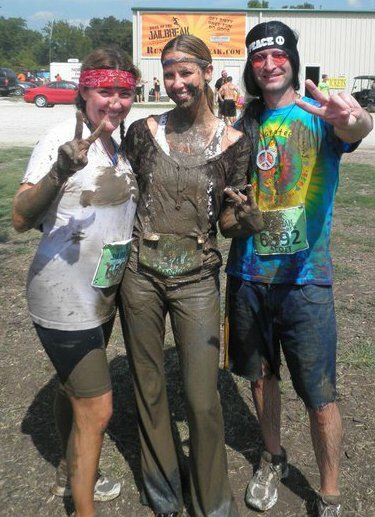 Yes, we dressed like hippies for a recent mud run. Why not? And since I’m hippieish, I like how this shoe is based on a Japanese concept called ‘Hado’. 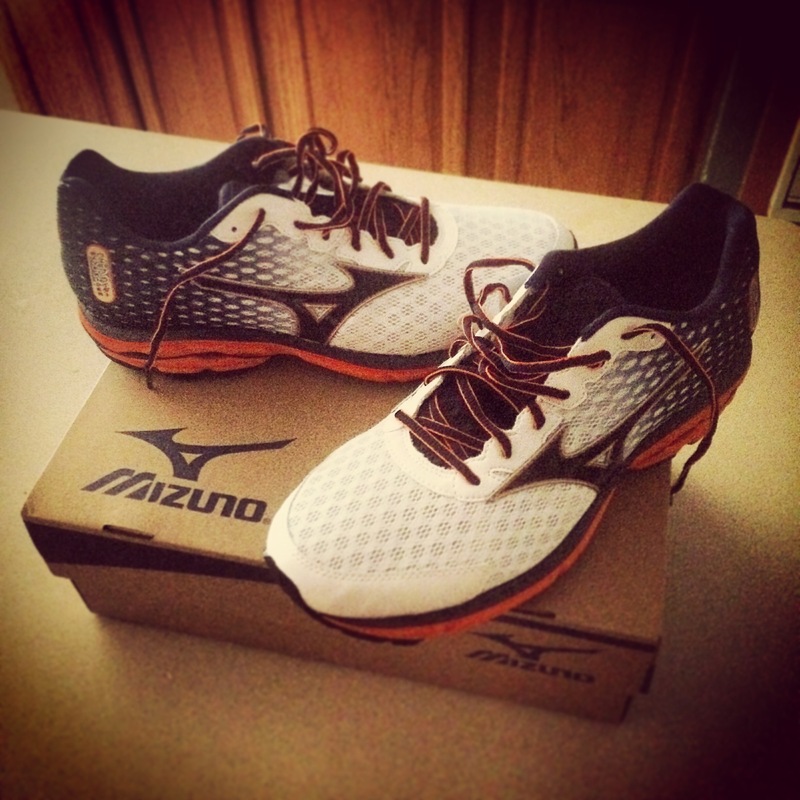 They say that means, “the intrinsic vibrational life force energy that promotes powerful transformations.” Mizuno says they try to harness the transformative power possibilities of every run in this shoe. Like I said, I like that kind of hippie dippie stuff. I assume that’s the Japanese translation. I must also admit that I always wished I lived on the beach and surfed all day. But I’m landlocked in Texas, and so I like the idea of thinking of the roads as waves and the shoes as my board. Wave rider!! Anyway, once I put these shoes on, one thing immediately stood out to me – these shoes are STURDY. I haven’t put many miles on them, but I feel like they would hold up for a long time. That said, they’re comfortable enough to allow my feet to bend and move freely. And the thick sole should provide plenty of cushioning during the course of training. On my feet and ready to surf! Now the important part…how do they look??? Well, as you can see in the pics, they are pretty slick. If you went to Auburn University, I’m sure you’ll love the colors of the shoes I was sent. I’m not complaining, but my only wish is that they had sent me the green ones (green is my favorite color). And for the final factor – coolness. When I first put these on to walk around the house, our 5 year old boy looked at me for a minute and then said, “You’re new shoes are pretty cool.” High praise indeed! As we all know, kindergartners are known for their fashion sense and honesty. Besides fashion, he’s also an expert on running. Now me personally, I always like to go to a running store to try on the shoes before I buy them. Each brand/style will differ slightly in size, feel, etc. I like to make sure I get the exact right fit. But these were sent to my by the company without me ever trying them on first, and so far, I think I lucked out. How bout you? Have you tried the Wave Riders? What do you think of them? What do you think of the colors/design? I don’t know what happened on my run this morning. Was to be an easy 5 miles, but man did I feel like crud. I was sore and tired all over. So weird how you can change like that from day to day. Yesterday I felt decent on my run. Today not decent. Here’s hoping I’ll be back to decent tomorrow. Oh well, I still pushed through and got it done, that’s what counts right? 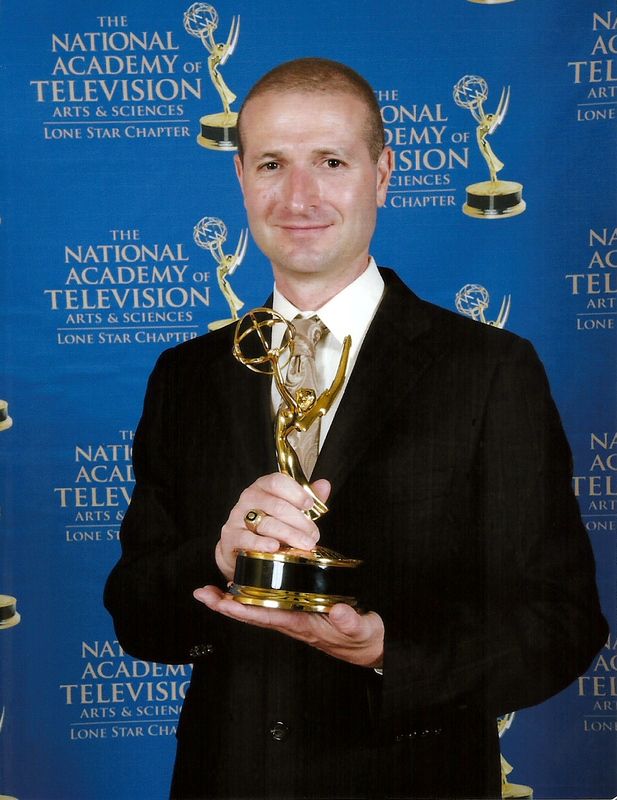 Per uge, I was dripping with sweat and covered in gnats by the end. I’m still waiting for those fall temps to come! Anyways, I’m glad I got it done because tonight we’re going to the Mumford and Sons concert. Twas supposed to be a few months back but they had to cancel the day of the concert due to one of the band members undergoing emergency brain surgery. Luckily he’s all better now and so the band is making up the dates they missed. 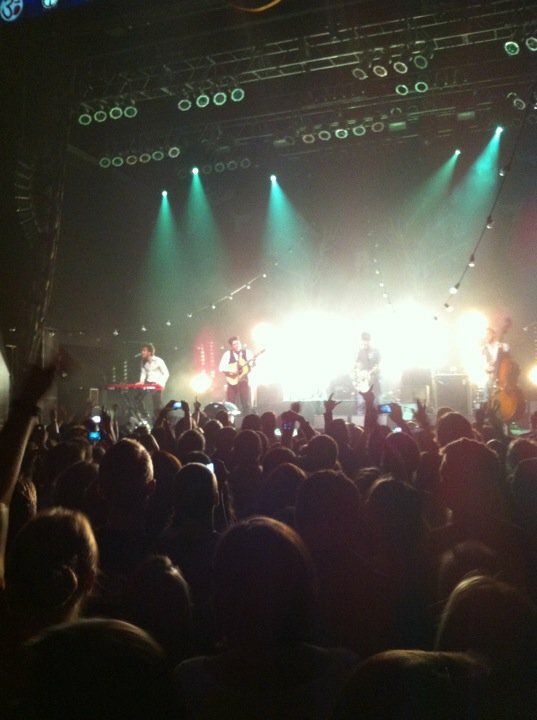 Pic from the 1st time I saw them. What a great show it was! This will be the second time I’ve seen them. First was a couple years ago. I knew their music myself, but since I don’t usually listen to pop radio, I had no idea that lots of other people like them too. I assumed they were a small indie band that not many people knew – I learned otherwise when I went to buy tix and they were completely sold out! 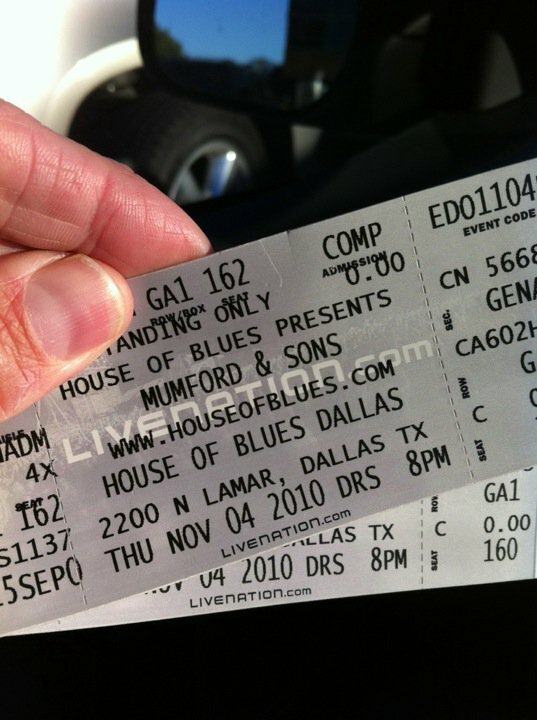 Luckily luckily luckily my friend is a radio DJ here in Dallas and she was able to hook me up with a free pair the day of the show – score! Now they’re back, and in an even bigger venue that sold out within minutes. It should be a blast. My sis came to town for it, and we’ve got a lot of other friends and families going to the show. BTW, if you haven’t seen their latest video, it is High Larious! Check it below. BTW, I’ve pretty much given up listening to music when I run, but when I did, I could always count on “The Cave” to pick up my pace! 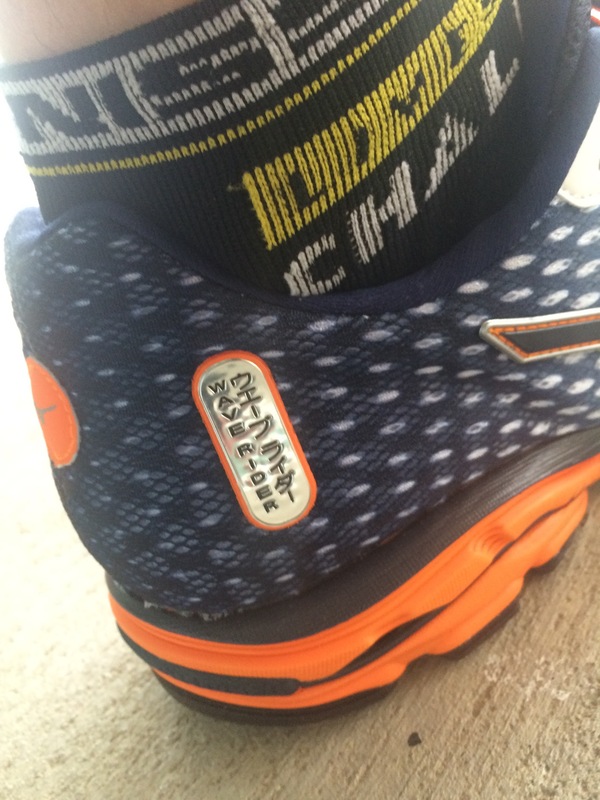 OK, so I’ve been out of the on-line world, and the running world, the past nearly two weeks. 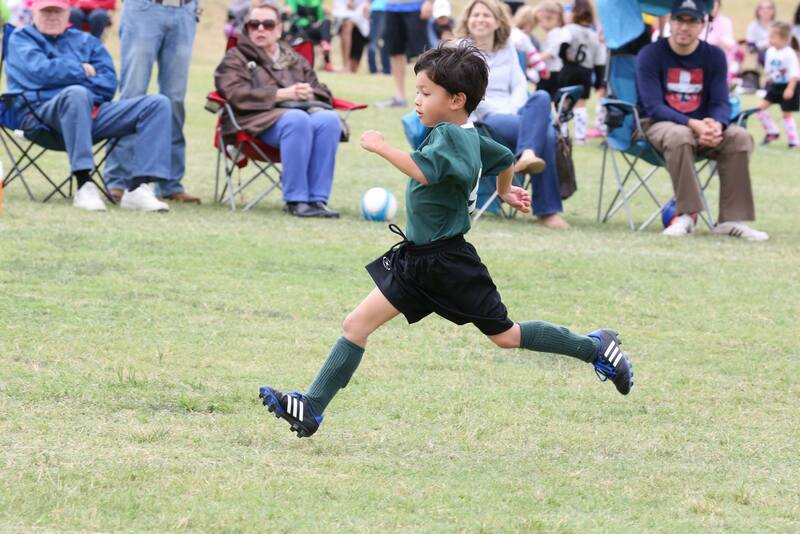 In my soccer game back then I did something to my ribs, so I took a few days off to heal. THEN I got sick for the first time in as long as I can remember – probably first sick day since 2006. I’m sure there’s been a couple here and there, but maybe not. The reason I remember it so clearly is that it was pneumonia – and it was nasty! If you can avoid getting that, then take my advice and do so! Sorry I couldn’t get any closer than two feet away for a picture during this performance. Anyway, this time around it wasn’t pneumonia, but I had a fever and low energy, etc. So I took some time to get better. Right before I got sick though, I went to see the Old 97’s perform. If you haven’t seen them, they are FUN! You might remember them as the band Jennifer Anniston and Vince Vaughn kept talking about in “The Breakup”. 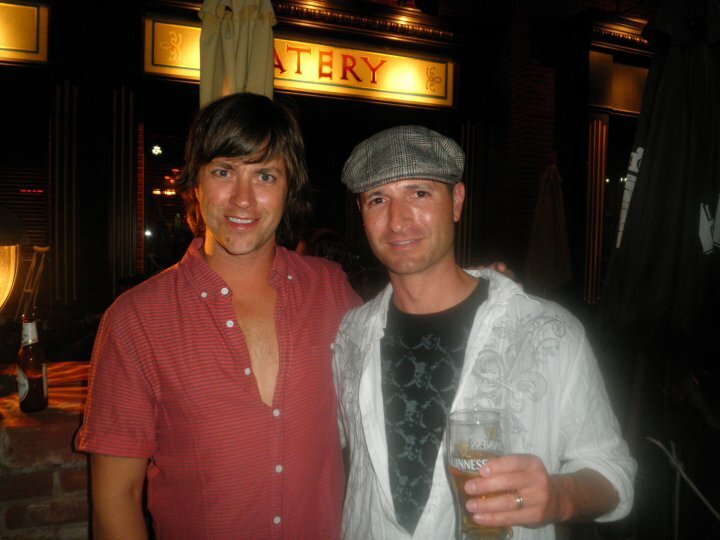 In fact, one of the times I met their lead singer, Rhett Miller, he told me the writers of that movie had been listening to their music the entire scripting process. Told ya that I’ve met ’em. Stop doubting me. I can’t even count how many times I’ve been to their shows, but if you are not familiar with their music, I’ve got at least one song of theirs you need to add to your running playlist. It’s called Time Bomb and it is PURE energy! Below is a live performance of it that should give you an idea, despite the less than stellar audio quality. 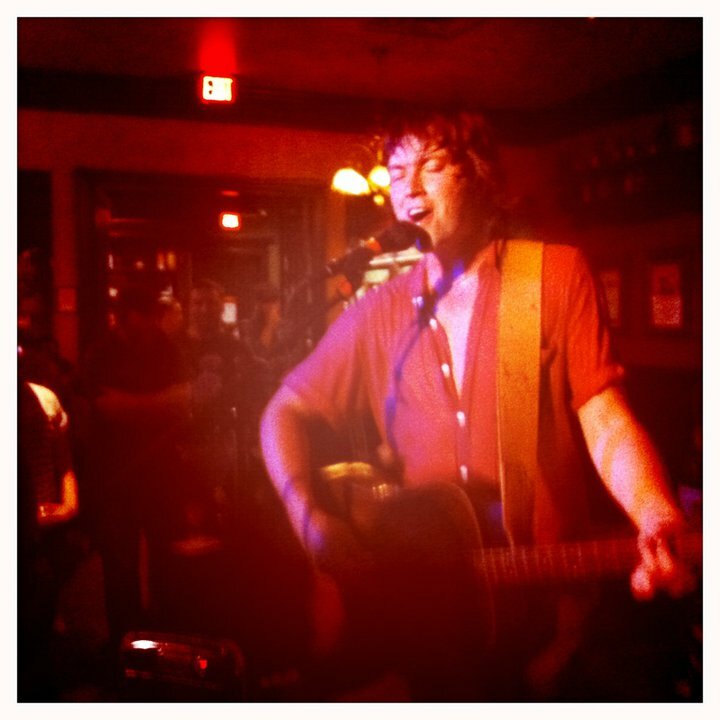 Note the sweatiness of Rhett…a staple of his high octane shows! Fun fact…I don’t know who took that video and posted it on YouTube, but it is a coincidence that the venue (Newport Music Hall – Columbus, OH) is indeed the exact same place I saw my first ever concert way back when. Care to guess who it was? I’ll give you a hint, his initials are Weird Al Yankovic. I don’t know if any of Weird Al’s music would help me run. Will have to go through my old cassettes to find out.